UW-Fond du Lac recently underwent a multi-million-dollar renovation, which means students have the opportunity to grow and learn in the finest labs, classrooms and facilities. Outside of the classroom, students can enjoy the campus lake and scenic arboretum that surrounds the campus. The UW-Fond du Lac campus sits next to the Gottfried Prairie and Arboretum, which features 42 acres of preserved native plant communities. 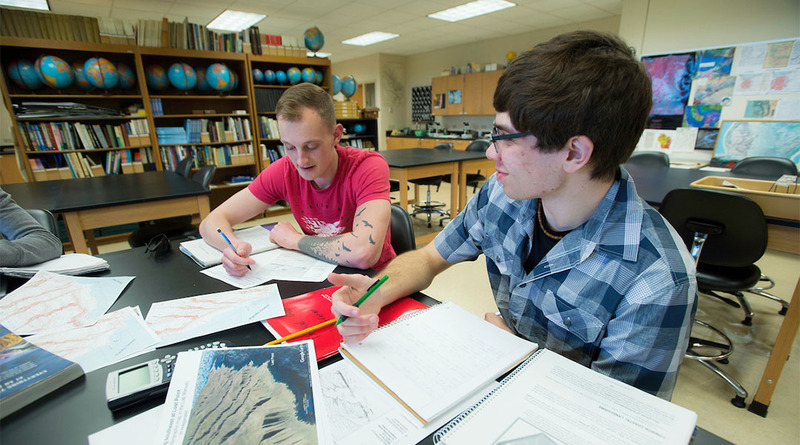 Students can learn and enjoy this natural haven through classes, hikes and snowshoeing events. With a student population of around 600, UW-Fond du Lac offers a private school feel at a public school price. The campus’ exceptional faculty and staff make sure every student gets the instruction, guidance and attention they deserve. The UW-Fond du Lac campus is located about an hour from Wisconsin’s largest cities – Green Bay, Madison and Milwaukee. That makes it easy for students to take a day or weekend trip to some of the state’s most popular destinations. The Prairie Theater at UW-Fond du Lac is a state-of-the-art performance center that offers students the opportunity to perform in a number of theatrical and musical performances each year. These performances are a joint production put on by students, staff and community members, which provides an engaging, beneficial experience for all. College is a perfect opportunity for students to build on current interests, or find a whole new one. UW-Fond du Lac offers student organizations that cover a variety of interests and experiences including student government, bicycling, volunteering and more. Students at UW-Fond du Lac don’t have to leave the sports they love behind when they finish high school. They have the opportunity to play a college sport as part of the UW-Fond du Lac Falcons athletic teams. Fond du Lac is a bustling, mid-size city situated on Lake Winnebago, Wisconsin’s largest inland lake. Lakeside Park is the centerpiece of the area, where students and community members alike enjoy swimming, fishing, boating and other outdoor activities. UW-Fond du Lac is part of the University of Wisconsin system, which means students have the unique opportunity to earn a bachelor’s degree without leaving campus. Students can earn a degree in engineering, nursing, organization administration and more thanks to agreements with UW-Platteville, UW-Milwaukee and the UW System. Students at UW-Fond du Lac can take advantage of thousands of dollars in scholarships thanks to generous alumni, staff and community organizations. It’s one more way UW Colleges makes higher education affordable and accessible for all.